This is the history of Alaska's last legacy airline, Alaska Airlines. The book is titled Character & Characters in recognition of those who flew the planes and marked the airline's transformation from a single-aircraft bush operator in 1932 to a major U.S. carrier. 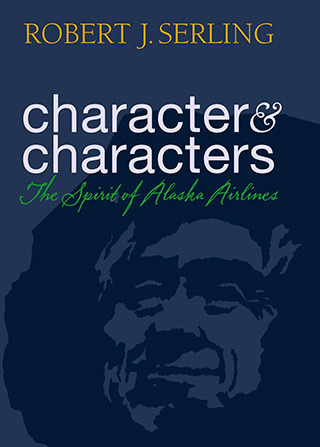 From Alaska Airline's fabled beginnings serving the far reaches of America's "Last Frontier" to its present-day network stretching from Barrow to Zihuatanejo and Boston to Honolulu; from creative promotions to its historic flights that linked the United States with the Russian far east; from distinctive in-flight service to the first online ticket sales, Character & Characters chronicles the unusual stories and colorful people behind this uncommonly independent airlines.